12 inch 5-bladed hardened steel cutting cylinder with tool free setting and easily adjustable cut height of 13mm to 23.5mm. 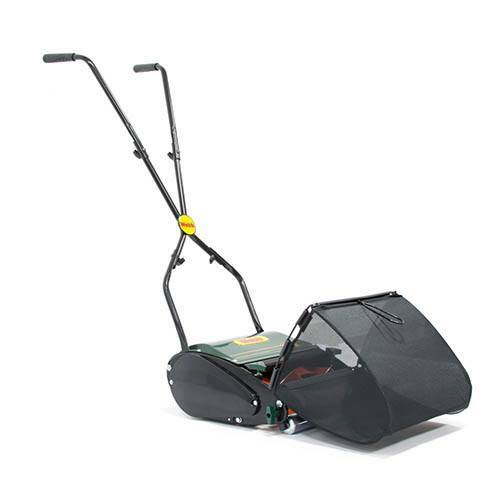 The 18 litre grass collector reduces the need for emptying trips during larger jobs. Push Mowers are eco-friendly and they come in a classic British Racing Green livery! They are also the only mowers that will save you money, on petrol and electricity. The Webb H12R Roller Hand Mower, has a 12 inch 5-bladed hardened steel cutting cylinder with tool free setting and easily adjustable cut height of 13mm to 23.5mm. The 18 litre grass collector reduces the need for emptying trips during larger jobs. Push Mowers are eco-friendly and they come in a classic British Racing Green livery! They are also the only mowers that will save you money, on petrol and electricity.